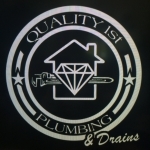 ​A full-service plumbing company with over 30 years experience. Residential, commercial, remodeling, repair. Trustworthy and reliable service. Serving the entire Central Coast from Oakshores, and San Simeon to Santa Maria. 24 hour emergency service. Starting his plumbing career in 1988, Paul has seen it all in the plumbing world. His first jobs were for other local companies in the San Luis Obispo area, and while he was working he quickly realized customers were not getting the solutions they deserved. Customers were being over quoted on price and were not receiving honest answers they were looking for. This propelled Paul to start North County Plumbing and Drain Cleaning. 20% discount on the 1st hour of labor to new customers – *Please mention offer prior to delivery of service. “Paul and his crew solved our plumbing nightmare, which other companies failed to do” – Michelle Dupre, Pacifica Commercial Reality.